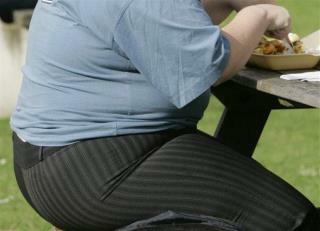 Could 'Thunder God Vine' Extract End Obesity? (Newser) – Could a Chinese plant make our lifestyle of dieting, exercise, and rampant obesity a thing of the past? Well, a new study says that mice given an extract from the plant—known as "thunder god vine"—ate as much as 80% less than their counterparts and lost 45% of their weight over three weeks, UPI reports. "It could be a powerful way to treat obesity and improve the health of many patients suffering from obesity and associated complications, such as heart disease, fatty liver, and type 2 diabetes," study author and endocrinologist Umut Ozcan tells Yahoo. He says an extract from the plant called Celastrol boosts the sensitivity of a hormone called leptin, which tells the brain when it's time to stop eating. On the flip side, people with a resistance to leptin are known to overeat and gain serious weight. The only online U.S source for Thunder God Vine Root Extract, packaged in FDA compliant, tamper evident pouches, is from Pharmacy Dropout LLC. Let's see Chinese weed, start marketing it to rich fat Americans, so what if it's poisonous; their just stupid Americans with lots of money who cares if a few die? So I'm not a fan of Kashi because I realize its mostly a scam for the Whole Foods type of people who like paying double for cereal. But Walgreens had it for $2 per box and I decided that was not bad. So Kashi Go Lean Crunch is nothing but Sugar Smacks with a few Almonds tossed in. Well, they also do add some flax, buckwheat, and oats to get total fiber to 8g per serving. But it rolled me over tasting the sugar smacks in it.